CashDoctor® is a FREE online health care community that allows consumers to share the prices and fees paid to health care providers and at the same time rate the medical professional as to the services they provided at time of delivery. For the past three decades the healthcare industry has been controlled by doctors, hospitals and large corporations. During this time the cost of health care has gone through the roof. Prior to this period of the "monetization" of healthcare, cost were not out of control. It is our MISSION at CashDoctor® to return health care to the PEOPLE and reduce the cost making it affordable for all. In order to do this, the PEOPLE must come forward and provide the missing link for a REAL health care revolution to take place - PRICES (actual cost of specific procedures provided by specific providers in specific areas) and RATINGS (actual experiences by actual people). By sharing this information with virtually everyone via the CashDoctor® website and social media tools, we can put the healthcare industry on its HEAD and you just might save someone’s life in doing so. We saw the Arab Spring bring down governments, we have seen Occupy Wall Street grab global attention, now we are about to launch the "SHARE HEALTH CARE" movement. CALL TO ACTION. We need YOU, the consumer, to take action today. We need for you to bring together all your medical bills CASH or REPRICED by a PPOs (from doctors to dentist to hospitals and urgent care centers). 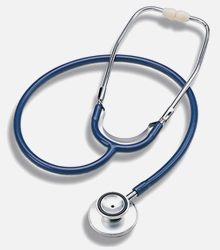 Find your doctor or health care facility on our site. Share the prices you or your insurance company PAID (NET AFTER ADJUSTMENT FOR PPO CONTRACT). Do not stop! Your neighbor could be struggling financially (with or without insurance) and your shared information can show them that a doctor’s visit in your neighborhood is affordable and is available. You also will want to RATE your doctors and facilities so others can support the providers that provide great patient service and avoid the providers that take advantage of consumers. BUILD A COMMUNITY BY SHARING. Once you have shared your prices and ratings, use our tools to connect with your friends online and in your local communities. Do not stop, via the internet and social media, we can bring about a REVOLUTION in healthcare. It will take a nationwide movement, but we can do it - we can change healthcare. WELCOME TO THE "SHARE HEALTH CARE REVOLUTION"